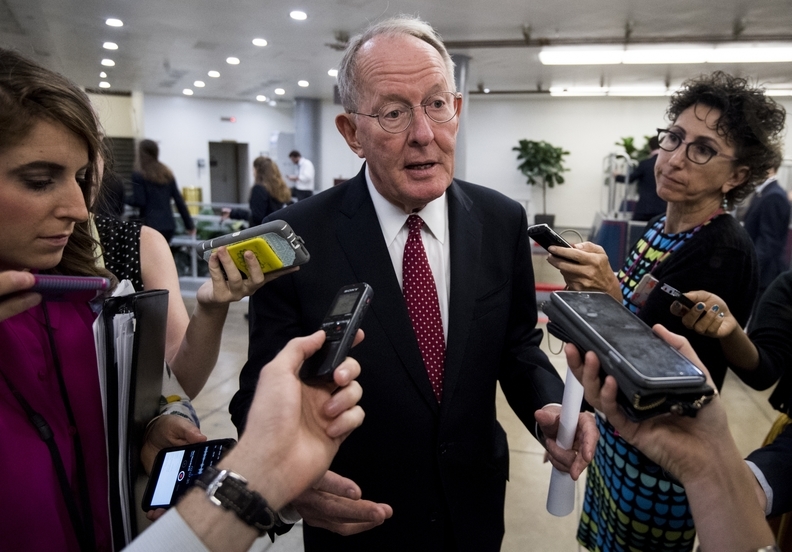 The Senate's health committee will work to develop legislation to stabilize the individual market before insurers make their final decision on whether to participate in the exchanges, Sen. Lamar Alexander (R-Tenn.) said. Insurance companies have until Sept. 27 to sign contracts to sell plans on the federal exchange, but many have voiced concerns that there is too much uncertainty surrounding the cost-sharing subsidies to commit to the marketplace. Alexander, chairman of the Senate Health, Education, Labor and Pensions Committee, said millions of Americans who receive government subsidies to purchase health insurance may find themselves with no plan options unless Congress acts. The committee will hold hearings starting in early September to craft legislation to protect the insurer subsidies. The hearings will include input from insurers, state officials and others, Alexander said. "If your house is on fire, you want to put out the fire, and the fire in this case is the individual market," Alexander said. Any resulting legislation would aim to stabilize the individual market next year by keeping premiums down. Assuming the HELP Committee crafts something tolerable to all Democrats, getting House Speaker Paul Ryan to bring that bill to the floor is a long-shot, political observers say. "I don't see that happening in the House, even if the Senate passes something," said Adaeze Enekwechi, vice president for policy and analytics at McDermott+Consulting. She said Ryan remembers the revolt against former Speaker John Boehner for allowing bills to pass with mostly Democratic votes, such as raising the debt ceiling and giving aid to victims of Hurricane Sandy. Mark Rust, former chairman of Barnes & Thornburg's national healthcare practice, also thinks Ryan will not allow a bill to come forward that Republicans cannot sell to their base as a replacement for Obamacare. However, if it appears that the markets have collapsed and Republicans are being blamed for it, Ryan "might just turn on a dime," Rust said. A spokeswoman for Ryan did not return a request for comment. The HELP Committee's plan to stabilize the individual market immediately got pushback from Heritage Action for America, a conservative advocacy organization. "The Senate's inability to produce 51 votes for a piece of legislation that delivers on a seven-year campaign promise to repeal and replace Obamacare is not license for a bipartisan bailout of a failing law," the group said in a statement. "Obamacare is becoming a zombie law, and throwing more taxpayer money at Zombiecare is unacceptable." Alexander said he has asked President Donald Trump to help the Senate by continuing to pay the cost-sharing reduction payments through the end of September. Trump has threatened on Twitter to cut off the subsidies after the Senate failed to pass legislation repealing the Affordable Care Act.